Interested in sharing your news and announcements on the Chamber website and in the Membership Matters email newsletter? Login here to submit your news. Submissions for the Membership Matters email newsletter are due Wednesdays by midnight for the following Monday's email (please note that the email goes out every other Monday). For questions or comments, please contact Brianna Lawson, Communications Coordinator, at brianna@dahlonega.org. Dahlonega Assisted Living and Memory Care is conducting "Hard Hat Tours" to share our future home with interested parties. Contact Elizabeth at (706) 864-3000 to schedule your tour or to learn more. Sky Country Home for Rent! TLC at Gustavo's & Knuckle's! Join us at Gustavo's & Knuckle's on Sunday, May 5th, to celebrate Cinco de Mayo with TLC! Portion of lunch sales, 12pm - 5pm, will benefit TLC Humane Society Your 4 legged friends are always welcomed on Knuckle's front porch - Hope to see you there! 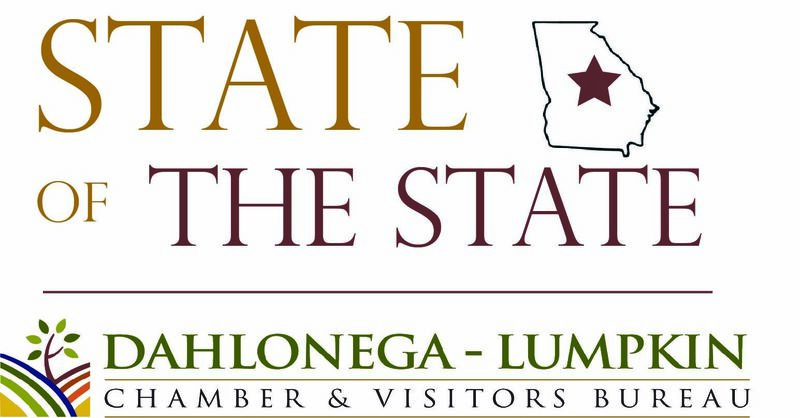 Join us for State of the State (Eggs & Issues) on Wednesday, May 1st! MyCommunityAndTown.com / FREE valuable community service.